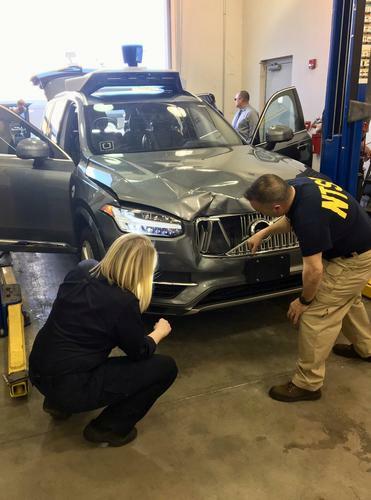 Uber Technologies Inc is not criminally liable in a March 2018 crash in Tempe, Arizona, in which one of the company's self-driving cars struck and killed a pedestrian, prosecutors said on Tuesday. The Yavapai County Attorney said in a letter made public that there was "no basis" for criminal liability for Uber, but that the conduct of the back-up driver, Rafael Vasquez, should be referred to the Tempe police for additional investigation. Police said last year that Vasquez was streaming a television show on a phone until about the time of the crash and called the incident "entirely avoidable." The Maricopa County Attorney, whose jurisdiction includes Tempe, referred the case last year to another office because of a conflict. In Tuesday's letter Yavapai County Attorney Sheila Sullivan Polk said its investigation concluded that "the collision video, as it displays, likely does not accurately depict the events that occurred." The letter said an "expert analysis" is needed to "closely match what (and when) the person sitting in the driver’s seat of the vehicle would or should have seen that night given the vehicle’s speed, lighting conditions, and other relevant factors."